Dessert should always come first! 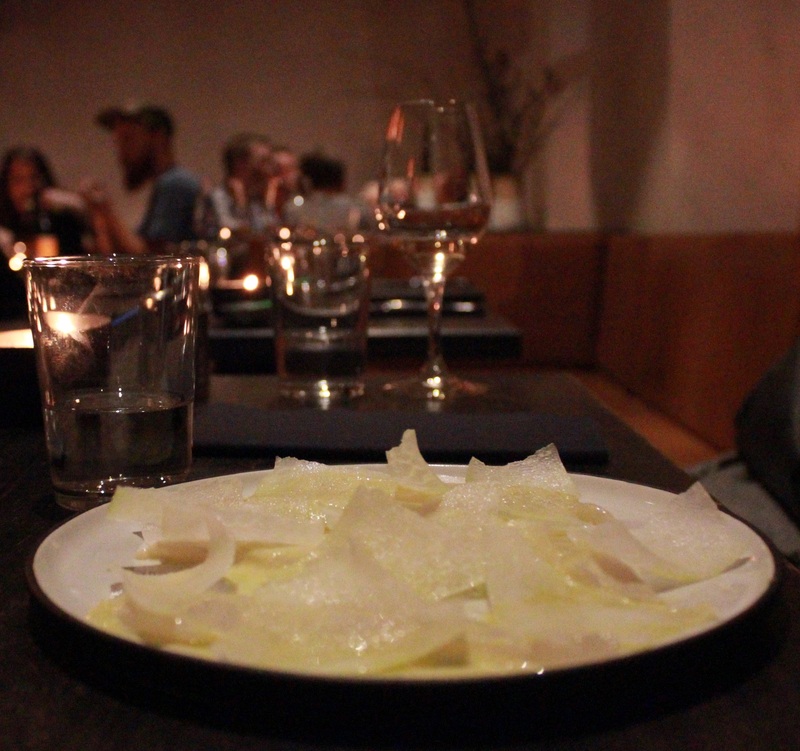 You might have thought we’d covered all the restaurants in Copenhagen, but they keep popping up, getting better and more distinguished. Our latest visit was like hitting the jackpot – in the most elegant way you can imagine. On my way to work I always cycle past Musling, a restaurant camouflaged by a dark facade. 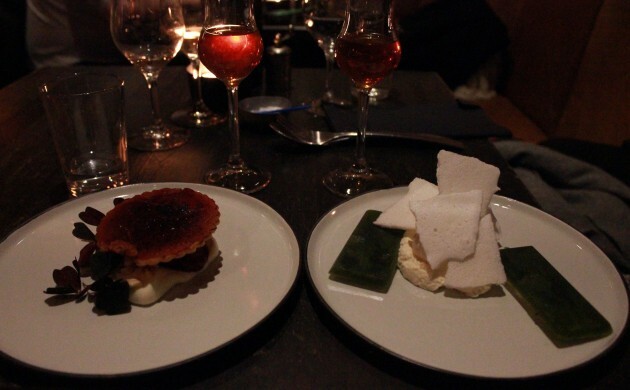 Curiosity drove me one night – along with my faithful companion on what we like to call our ‘foodie adventures’ – to discover the mystery lurking therein. Musling began business recently next to the well-known street food market Torvehallerne. And although they open as the sun rises for breakfast, on this occasion I’m going to focus on a dinner at this marvellous place that blew our minds. Musling means clam in Danish, so it won’t surprise you to learn that their menu mainly comprises fish and shellfish, mixing Nordic ingredients with Asian, Middle Eastern and American flavours. But perhaps the more important thing to bear in mind, as our waiter for the night informed us, is that their focus is on sustainability. They are all-in when it comes to the environment, only using products from local farms that practise organic and biodynamic farming. 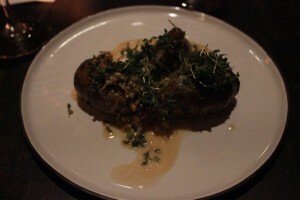 The meal began biodynamically in the form of an organic petillant naturel from France: Miam-Miam. This fine wine is produced in the region of Loire and only 200 bottles a year are made. We were lucky to taste this biodynamic blend of 50 percent Pinot Noir and Chardonnay – as naturally sparkling as a princess’s tiara. This wine matches well with seafood, which brings me to our first dish: a custom-made version of Peruvian ceviche made with brill from west Jutland (125kr), a fish that is similar to turbot but sweeter. Served with raw kohlrabi, a kind of German turnip, ‘leche de tigre’ and coriander, the vegetable gave the tasty brill a fruity and intense sensation of freshness. 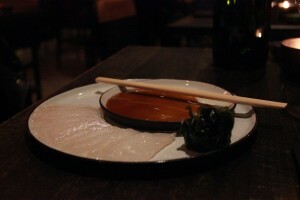 Next arrived the Halibut Sashimi (135kr), which was served with teriyaki, horseradish and pickled seaweed and alongside a vegetarian dish. 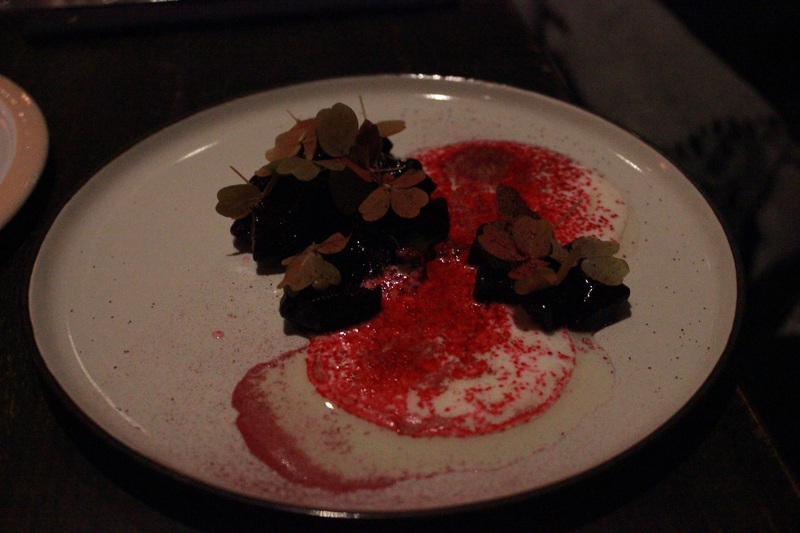 The purple beetroot decorated with oxalis, smoked yoghurt and black pepper (125kr) was a flawlessly executed dish. In fact, both were simply exquisite! 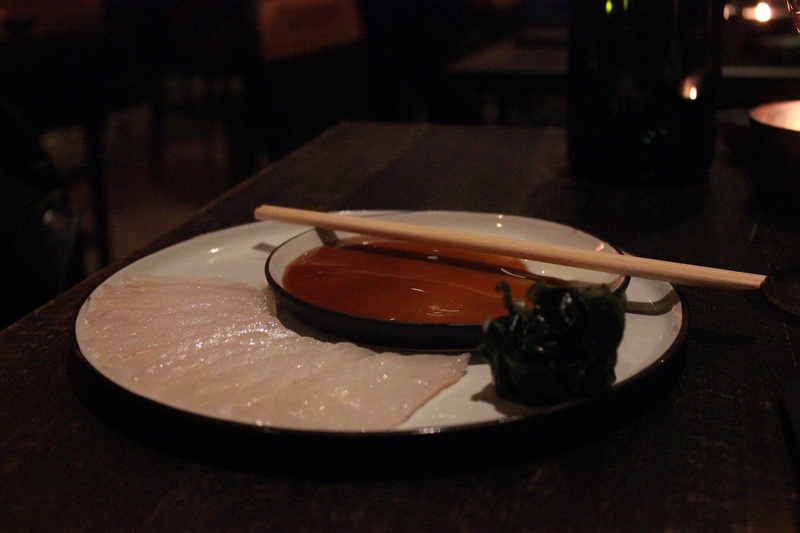 As the different courses arrived it became clear that the chef’s predilection is sauces. 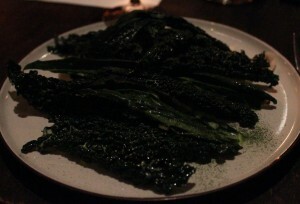 They gave a richness to every dish, transforming what were essentially pretty basic vegetables. 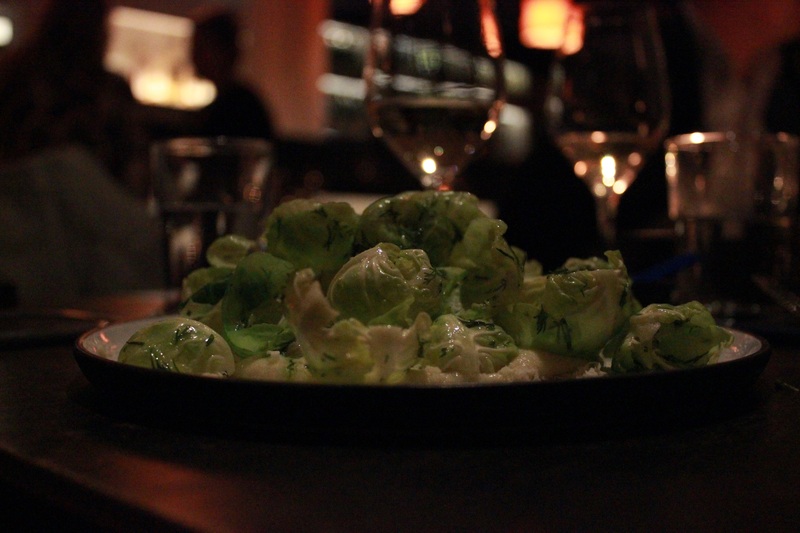 The horseradish sauce in particular, which made two appearances – again with the oysters, Brussel sprouts and almonds (125kr) – took me into previously unchartered territory. Not a single droplet of this sweet-spicy savory sauce survived. “Are you still up for one more dish?” the waiter asked. 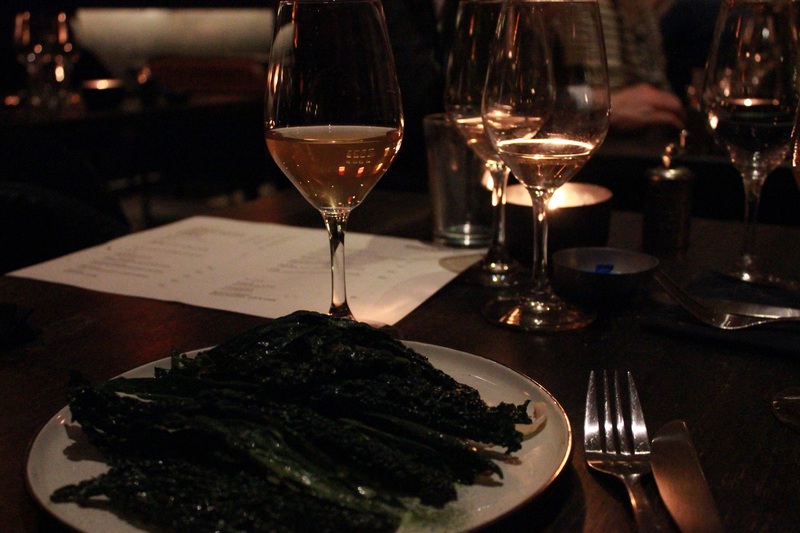 “Of course!” And so came the grilled kale with squid (145kr) – another example of how the choice of sauce and condiment can change everything. 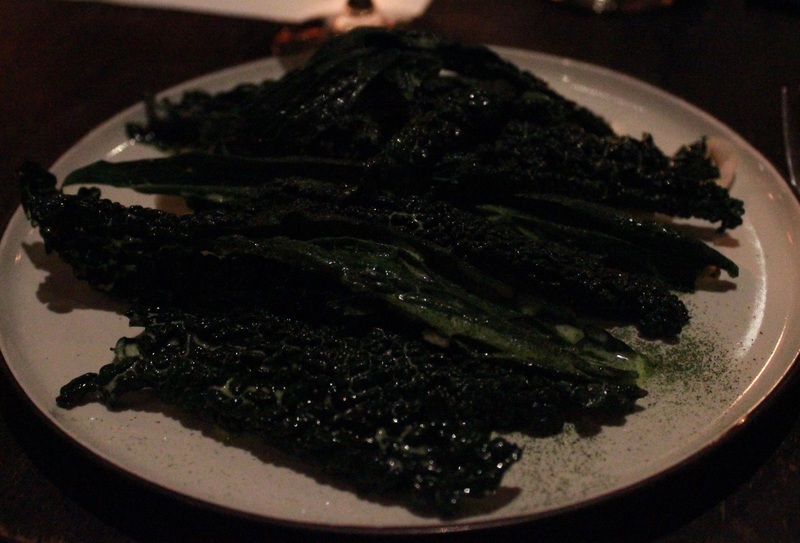 I’m not such a big fan of kale, but I know it’s nutritious, so although I was dubious, I trusted the waiter’s recommendation and we were not disappointed. Served with sour cream and Malaysian satay, we finished it like it was our first course. 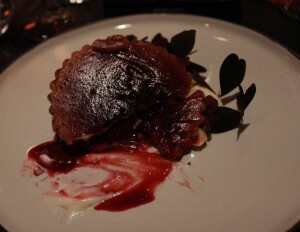 A Cuvee Marguerite Matassa wine, meanwhile, brought out the best in the plate. We tried more … yes, guilty as charged. But I think I’ve said enough and I’ll let you discover what other delicacies the menu offers. 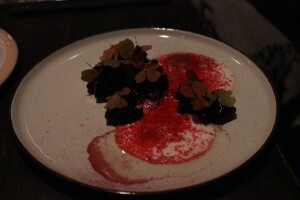 However, as I’m sure you know by now, I can’t avoid recommending dessert, and the blackcurrants with white chocolate (85kr) was lovely. The acidic-sweet combo was a splendid way to end the night – not to mention the beautiful display. All in all, we loved the range of textures, cuisines and unsung vegetables offered on the menu – talking of which, the Jerusalem artichoke with cottage cheese is another must. 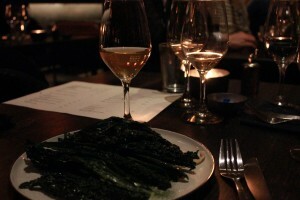 They have created plates that make plain roots and plants taste deliciously amazing! Also worthy of a mention is the politeness and attention of the staff and the stories that come with every dish and wine they picked for us on what was a delightful, entertaining and informative evening. The passion for food the guys at Musling have bursts out of their veins and is contagious. It is definitely a visit that we intend to repeat!